Actor and comedian Sigmund Mogulesko was born in Kaloraush, Bessarabia on December 16, 1858. 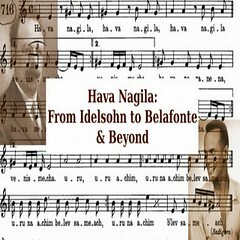 As a young boy, he sang in the local Synagogue choir and apprenticed with several well-known hazzanim. As a young adult, he moved to Bucharest, Rumania in order to study at the Conservatory of Music. After completing his studies at the Conservatory, Mogulesko joined Abraham Goldfaden's first Bucharest-based theater troupe. The role of Shmendrik was written for Mogulesko by Goldfaden, which later became one of the most popular roles in Yiddish theater. In 1880 Mogulesko formed a theater troupe in Odessa, and in 1881 published a collection of verse, Kupleten Komishe un Humoristishe. Mogulesko settled in New York in 1886, where he promptly became one of the first Yiddish theater stars. He sang in Offenbach's Bluebeard, acted in Boris Thomashevsky's productions, and was in Jacob P. Adler's presentation of Siberia (1892). Mogulesko also wrote the music for M.H. Hurwitz' The Sacrifice and for Jacob Gordin's only operetta, The Fair Miriam. After performing for several years, Mogulesko decided to start his own theater and founded the Rumanian Opera House on Manhattan's Lower East Side. In 1910, Mogulesko became ill and was forced to retire from the stage. He passed away on February 4, 1914 at his home in Manhattan, survived by his wife, and three children.